Last post on baby owl’s progress. 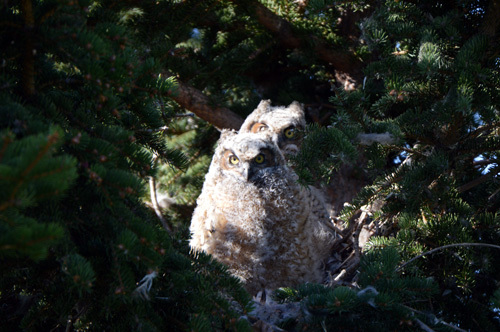 One more post on the progress of our owl babies.. after today, if you wish to see the progress please go to the 2016 Great Horned Owls Page (click here). 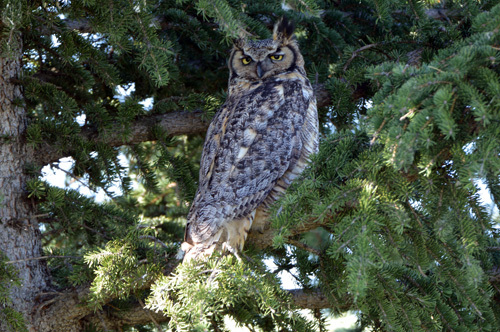 Mum was sitting just below the nest today. It amazes me that she doesn’t fly away when I get so close. 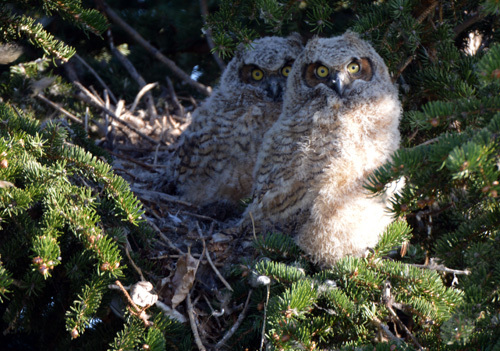 May 8 – in the evening.. sitting at the front of their nest. May 8 – in the morning. Mum sitting just below the nest. Morning Marlene. She must be getting used to you and sees you not as a threat. Pouring rain here, woke me up 0300 and now can’t sleep so it is time for mail and coffee.